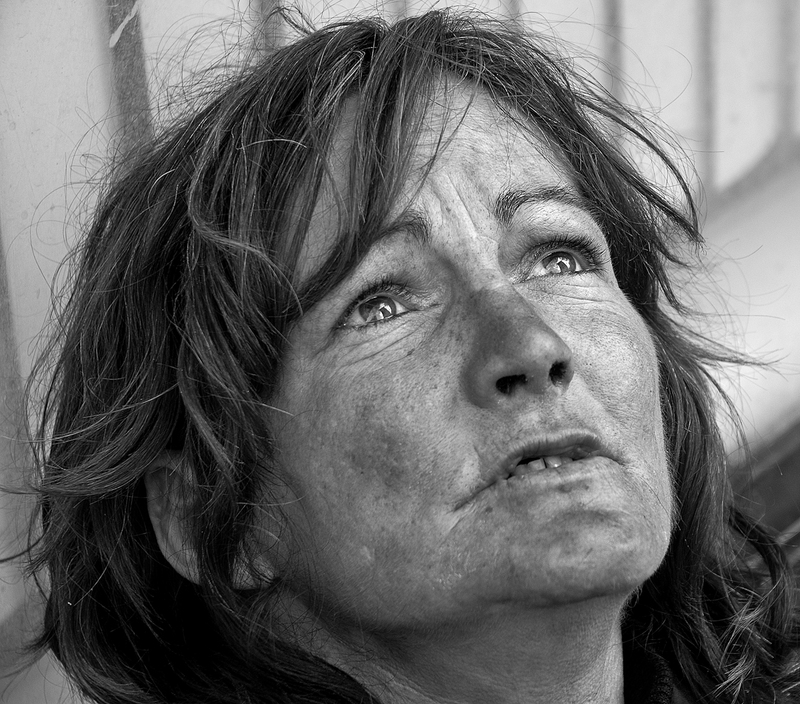 homeless theresa sitting on sidewalk; born in indianapolis and raised in thousand oaks, ca. theresa will talk and then start singing a song (somewhere over the rainbow, candle in the wind, ...). or she'll recite a poem about jesus and faith. or she'll heckle a passerby. theresa's father was a soldier who cheated on his wife such that his daughter (theresa) was born with gonorrhea. she says she was “born dead." she was blind and her legs were deformed. while the blindess was short lived, her legs are still in bad shape despite years in leg braces. when theresa was about 6, her mother was shot in the head in a public bathroom for money. "do you know what love is?" she asked. "love is forgiveness" she responded.